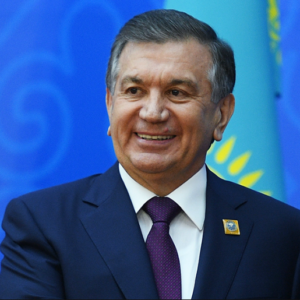 Uzbek President Shavkat Mirziyoev has said he will reform the country’s secret police, reports Radio Free Europe (RFERL). Calling members of the security services “mad dogs”, Mirziyoev has accused the SNB (a successor to the Soviet-era KGB) of committing atrocities, targeting innocent people and “exceeding its authority”. The SNB developed a reputation for carrying out abuses in the name of fighting religious extremism, according to RFERL. The country’s previous leader, Islam Karimov, relied heavily on the SNB to suppress dissent during much of his 27 years as President. Under Karimov, thousands were sent to prison on extremist-related charges, and some 17,000 more were put on a blacklist of potential extremists, says RFERL. The full extent of reforms planned for Uzbekistan’s security service is unclear, but, so far, Mirziyoev has sacked SNB chief Rustam Inoyatov, ordered the removal of SNB agents from the country’s diplomatic missions abroad, and banned law enforcement agencies from conducting searches and wiretaps without court orders. After the death of Karimov in 2016, a Protestant leader said he expected life for Christians to become even worse. By the end of 2017, the authorities were still clamping down on Christians, penalising them for attending church and owning Bibles. What Mirziyoev’s reforms will mean for Christians is hard to say, according to an international NGO. “So far, the change from President Karimov to President Mirziyoev has had few positive effects on Christians. If anything, the situation has worsened a bit,” says Rolf Zeegers from Open Doors International’s World Watch Research unit, which ranks Uzbekistan at 16th in its annual list of the 50 worst countries to live as a Christian. “The government has many other agencies to control religion. Most of the time this was not handled by the security service, but by the Committee on Religious Affairs, a specialised government body which reports to the Cabinet of Ministers. And nothing has changed at this point yet,” says Zeegers.